Teddy bears are fluffy, cute, and adorable to the core. You can hug them whenever you want and hold in your arms forever. 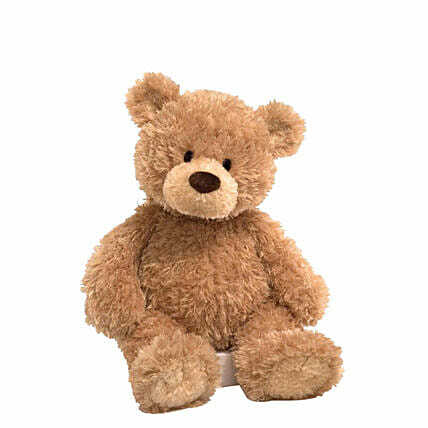 Ranging from kids to adult,teddy bear makes the best gift for people of all age groups on various occasions. Order online this super soft and cuddly brown teddy bear to gift your beloved on V-Day or surprise your little one on his/her birthday. "Keep your stuffed friends looking (and smelling! )their best by always hand washing them, using a mild detergent. They should be allowed to air dry outside."